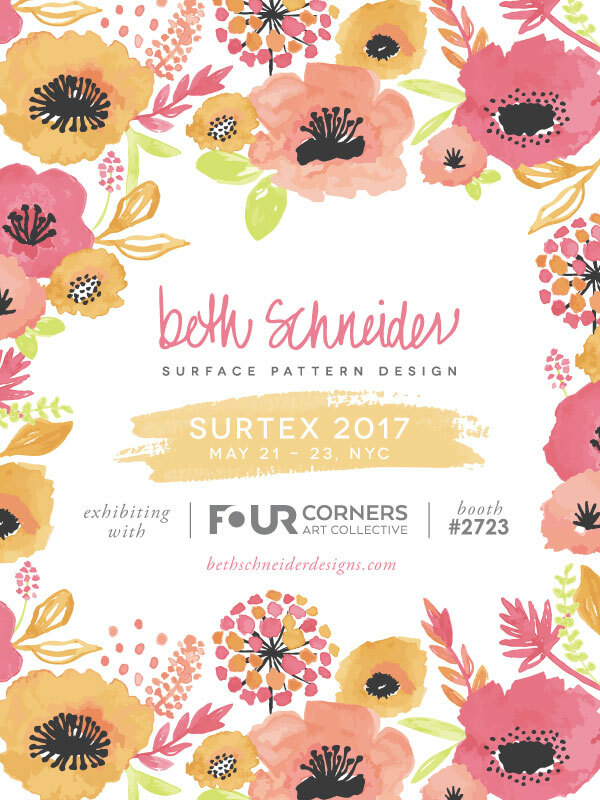 It's almost here - Surtex 2017! 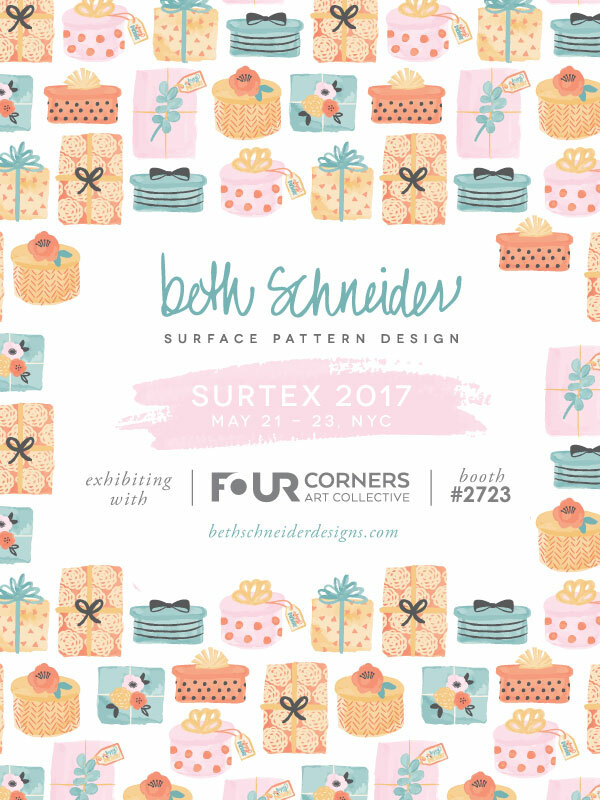 I've been working my patootie off (or so my 6 year old would say) for the past few months creating new patterns and illustrations to debut at my second Surtex show and I'm excited to say that I'm in the home stretch! There's so much that goes in to exhibiting at a trade show. If you've ever done one, you know what I'm talking about! So it's time to take a little breather and finally start sharing the work that I'm so proud of. Here are a few of my flyers that will be circling around my social media accounts and other blogs over the next few weeks before the show as well as a sneak peek of my Lookbook. 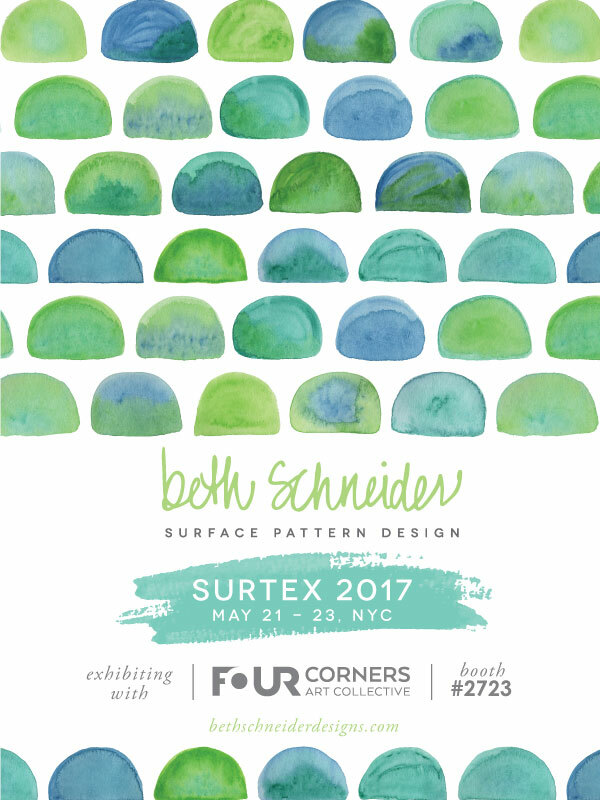 I'll be exhibiting again with Four Corners Art Collective in Booth 2723. If you're an Art Director and would like to make an appointment, feel free to email me. And if you follow me on Instagram, I'll be posting pictures and videos from the actual show. Otherwise, I'll post a recap in a few weeks!